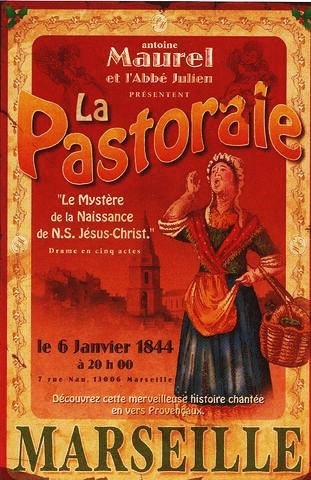 La PASTORALE est la plus ancienne et la plus populaire pièce de théâtre provençale de Noël. Cette pièce théâtrale est la représentation anachronique et extrapolée en Provence de la naissance du Christ, accompagnée de maintes péripéties. Les comédiens, tous amateurs, portent les costumes régionaux des années 1800-1830, en usage avant que la vapeur facilite l'acheminement de la mode parisienne à travers nos provinces. Il existe actuellement de nombreuses Pastorales en Provence. De nombreux villages présentent leur propre pièce écrite par un habitant en français ou en provençal ; généralement elles sont jouées par les villageois eux-mêmes. 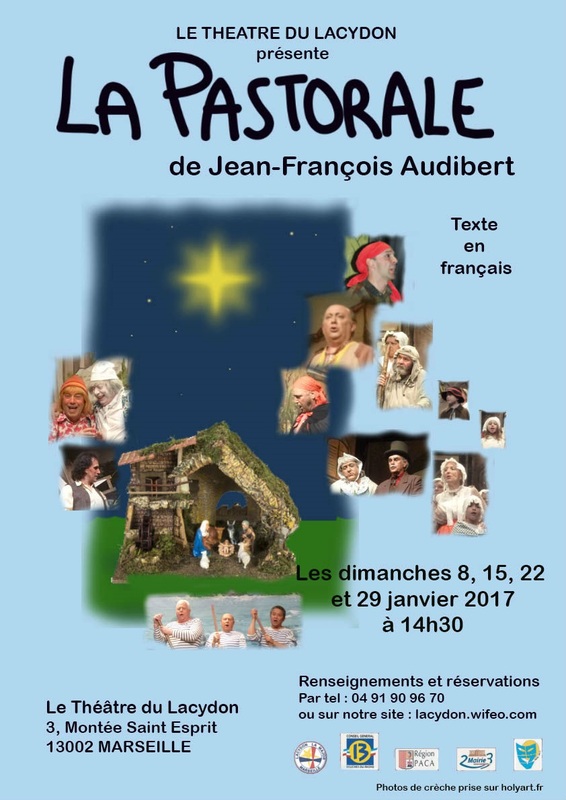 Parmi les villages qui perpétuent cette tradition, on trouve notamment la commune de Tourtour (Var), dont les habitants jouent, chaque année, La Pastorale des santons de Provence, d'Yvan Audouard, en langue française. - la Pastorale Audibert est jouée en costumes bibliques et en français. En 1844, le 26 décembre, Antoine Maurel écrit "La Pastorale ou le mystère de Notre Seigneur Jésus Christ" à la demande de l'abbé Julien. 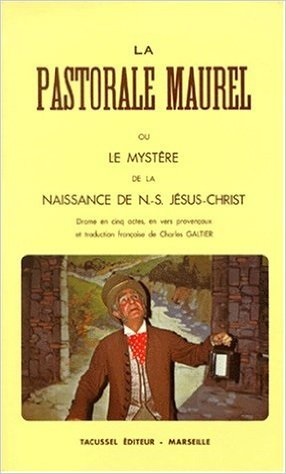 La pièce s'inspire des livrets des crèches parlantes et des saynètes de Noël, racontant de manière humoristique la Nativité. Le succès de cette pastorale est si vif, que le spectacle ne tardera pas à être joué sur toutes les scènes marseillaises et provençales. Suivront dans son sillage, d'autres pastorales, la plupart en langue provençale. Cette Pastorale, appelée de nos jours la Pastorale Maurel comprend 5 actes en vers provençaux, et est la plus répandue en Provence. La pastorale est un moment privilégié pour les nostalgiques de la langue provençal, qui trouvent à cette occasion une des rares pièces interprétée en langue « Nostre ». Les pastorales sont jouées non pas par des professionnels, mais par les villageois eux-mêmes, qui sont motivés par la perspective de maintenir une tradition fortement ancrée en Provence, avec la conviction lors de chaque représentation de défendre leur culture, et de conserver un lien entre le peuple provençal et leur langue. La Pastorale Maurel est une excellente étude des mœurs de l'époque dont certaines sont encore conservées. Ce spectacle tout public est parlé et chanté en provençal. Qorker in a looking-glass factory, and is nomed after him. 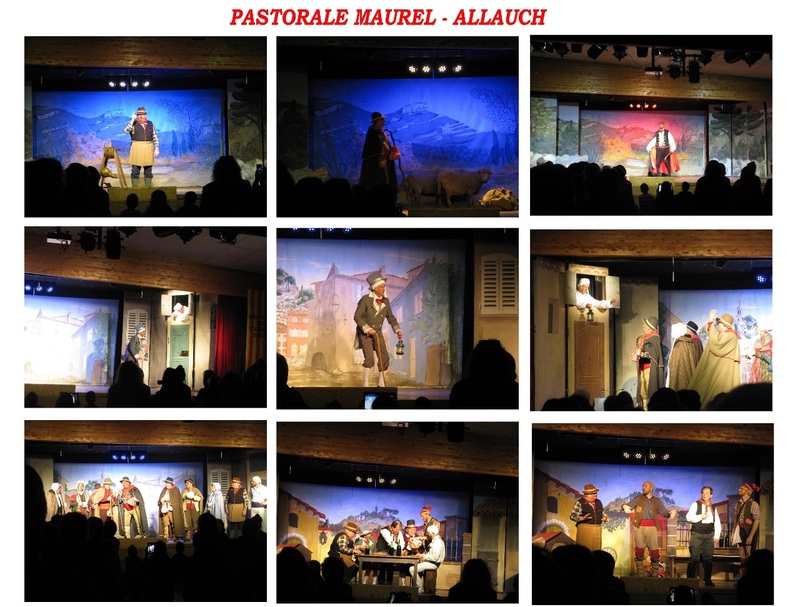 It was first staged in 1844 at a Catholic Worker Club whjch met at 7, rue Nau, Marseilles. and it was at the Abbé JULIEN that he wrote this drama which ressembles both in form and content, the Middle-Age Mystery plays acted at the entrance of churches. 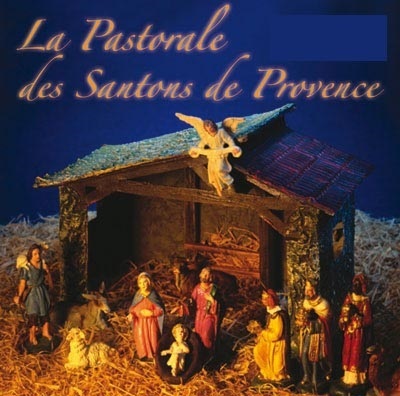 this ‘Pastorale’, in verse in Provençal langage, is acted throughout Provence every Christmas, with unvariable sucess. cette Pastorale qui porte son nom. Elle fut créée en 1844 au Cercle Catholique d’Ouvriers, qui avait son siège au n° 7 de la rue Nau à Marseille. Noel ! Noel ! Noel ! for children everywhere, Christmas is a time of presents, the Christmas tree all light up,shoes in the hearth, and the toys brought by Father Chrismas, but for us, Provençal children, Chrismas is also the manger* scene and its “santons” (figurines dressed in Provençal costume), and the “Pastorale”. You know what santons are, of course, and l’ll explain the Pastorale to you, so you’ll know what that’s all about too. I’m going to tell you the Pastorale as I saw it. My Grandpa told me it was called the Pastorale because there are lots of shepherds, and in Provençal, they’re called “Lei Pastre”, so I suppose that Pastre-Pastorale comes there. At the beginning, as the curtain slowly opens, you can hear angels singing; you can’t see them, of course, because they’re angels, but you can hear them and they sing well. When the shepherds, who are asleep, hear these voices, they wake up. The shepherd look just like figurunes from the Nativity scene, only they can move and speak as well, and when they see the strange light in the sky, a radiance as by miracle, think begin to think that something extraordinary is happening. Suddenly an angel, he’s all aglow with light in the middle of a cloud, and he tells them, at least he sings to them. When the shepherds are reassured and wide awake,the angels tell them the great news. Then they sing again, but I didn’t understand any of the words. The shepherds decide to go and wake up the villagers to tell them the news that Mes... how the angel called him, that the Me... well, that the baby Jesus was born. You’ve realised of course theat the shepherds are good and kind, but in the Pastorale there are also some bad men, they’re the gypsy and his son . He scared me, the gypsy did. He has a red scarf on his head, boots, a big moustache and a long knife. He’s always calculating the next bad action he can do. The miller is happy because he’s heard the angels and seen yhe strange light in the sky. He comes down the hill, with his sack of flour over his shoulder, singing. Oh ! I forgot to tell you that the knifegrinder also has a flask of wine and he takes a sip every now and then, between two knives ; one sip added to another makes a lot, so as you can guess he’s always a bit tipsy. Giget and Pistachié are the funny ones in the Pastorale. Pistachié is nice of course but a bit daft, and Giget stammers, when he wants to explain som... som... som... something, it always ta... ta... takes a I .. long time; you mustn’t a hurry, that’s all. On the neighbouring hill, another shepherd, all awonder*, has heard the angels. The news is spreading throughout the countryside. Here are some more who have heard the angels. The villagers, awakened by all these songs,are wondering what’ happening. Now, the whole village is awake; well, nearly everybody is, because old Roustido is deaf, so he hasn’t heard anything; the villagers are going to wake him up. Once Roustido is awake, the villagers decide to go to Bétélen (Bethlehem). Roustido goes down to the village square but everybody has left; it’s dark and cold so he’s a bit afraid, but the voice of a young boy reassures him. They decide to go to Bétélen as well; so, there they are, all four of them, Jourdan, Marguarido, Roustido and the donkey, luckily there’s the donkey because they could never go all that way on foot; they’re old, as I’ve already told you. They are always arguing although they like each other well. And they leave all four of them, singing, well only, three singing, as the donkey can’t sing of course. Everybody meets up at Benvengu farm on the road to Bétélen. Roustido, Marguarido and Jourdan arrive last, it’s not surprising, seeing their age. The donkey is tired out and out and thirsty, so the kind Pistachié goes to fetch a bucket of water at the well, and as he pulls out the bucket, he falls in, not in the bucket but in the well, and everybody goes to save him. At last, they get Pistachié out of the well, they dry him, and then leave for Bétélen, guided by the Star. The shepherds are the first to arrive at Bétélen.all is silent, they knock at a door, and the farm-servant who was asleep wakes with a start. He comes down holding a lantern as it’s still dark. The shepherds ask him if it’s in this stable that the Baby Jesus is born, but he doesn’t know as he was sleeping. However, the shepherds tell him that above the stable is the Star, the star that has guided them. He then opens the door and in the stable he sees the Virgin Mary, Saint Joseph, and the baby Jesus between the ox and the donkey; he’s surprised, so surprised, Good Heavens, that’s why there’s always a santon in the manger who’s called the “Ravi” (one who is transported by surprise) ; that’s him, the servant who looks, after the stable. The shepherds give the presents they have brought and they sing because they are happy. The miller arrives and gives his sack of flour, then Giget and Pistachié come with a sting of garlic, a loaf of bread and an empty cage because the bird has flown away. And to thank them, Jesus works a miracle. Pistachié becomes intelligent and Giget no longer stammers, not at all. The blindman arrives, guided by his son... oh ! I forgot to tell you theat there’s also a blindman in the Pastorale, and the gentle Jesus gives him back his sight. The gypsy arrives with big knife and wants to kill the baby Jesus, but as He’s Jesus, He has no ill-feelings and He holds back the gypsy’s arm and the gypsy repents and becomes good, so good that he gives the blindman back the son he had stolen; because the young gypsy who was supposed to be his son is not his son in fact, but the blindman’s son. Then the old folks arrive, arging yet again. They give their presents and then they embrace each other... for once they all agree. Everybody is happy and sing to thank the Heavens for giving them a Messiah. There, that’s it, I’ve remembered, that’s how they call the little Jesus in the Pastorale, “the Messiah”. Nue de bouenur, qu pouriè t’oublida ? Dins la soufranço sias toujour bèu. Dins la soufranço Sias toujour, toujour bèu. Telle la crèche de Noël, cette pièce est volontairement anachronique. L'auteur, afin d'en situer le contexte, a mêlé intentionnellement son époque contemporaine (XIX e siècle) située en Provence et l'époque de la nativité à Bethléem. Elle se compose d'un prologue et de trois actes pour une durée d'environ 2h30mn. Chants de louanges, offrandes, chacun se prosterne aux pieds du Nouveau Né. Le Ravi est là aussi, l'Aveugle recouvre la vue, les Rois Mages arrivent en cortège... L'auteur a également écrit un acte qui se déroule dans le palais du roi Hérode. 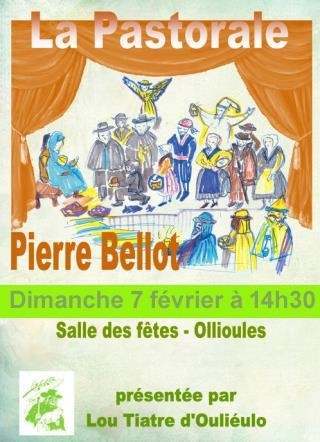 Cet acte, tout en français, est interprété chaque année lors de notre représentation de fin de saison, à la salle des fêtes d'Ollioules, le premier dimanche de février. La Pastorale Audibert a été créée en 1896 à Marseille sous le titre LA NAISSANCE DU CHRIST par Jean François AUDIBERT. Elle est interprétée entièrement en français avec des chants traditionnels de Provence. La Pastorale provençale forme un genre littéraire particulièrement original dans le théâtre occitan. On pourrait la définir comme une pièce à sujet religieux et à contenu comique où la représentation de la Nativité sert de prétexte à un enchaînement d’épisodes divertissants qui s’achève par l’ultime rassemblement des personnages autour de la crèche. Il est minuit, on entend le chœur des anges qui annoncent la grande nouvelle. UN SAUVEUR NOUS EST NE ! Satan, fou de rage, apparaît sous les yeux horrifiés de Chichourlé, endormi près de son troupeau. Satan réveille le bohémien et lui ordonne de défendre son règne. L’ange apparaît aux trois bergers : Michel (le ravi), Chichourlé (le simplet) et Luc (l’incrédule). Au village le grand conseil se réunit et après l’annonce faite par Michel, tous les habitants s’apprêtent à partir pour Bethléem. Luc, pris par le doute, résiste mal aux tentations présentées par Pharès le bohémien. Chichourlé le sauve une première fois. Luc ; le faible Luc, ne résiste plus et suis Pharès. Ce dernier dénoncé par Chichourlé comme fils du diable se venge et le noie. Mais des pêcheurs attrapent un gros poisson avec l’aide de tout le village et découvrent Chichourlé vivant dans le poisson. Les bergers et les pêcheurs, subjugués par ce miracle, reprennent le chemin vers la crèche avec encore plus de foi et d’enthousiasme. Luc, tenaillé par le remord, rejette malgré tout le serment fait à l’ange. Son châtiment sera terrible, puisqu’il devient aveugle. Cependant le SEIGNEUR, qui dans son infinie bonté lui a déjà pardonné, le protège de Satan qui sera terrassé par Saint Michel. Moment merveilleux pour les bergers qui arrivent devant la Sainte Etable. Tous adorent l’ENFANT JESUS qui fait des miracles : Père Simon et Mère Simonnette se réconcilient, Pancrace le meunier sourd retrouve l’ouie. Mais tout le monde s’inquiète de l’absence de Luc. Pendant que Chichourlé part à sa recherche, Luc arrive accompagné de Pharès. Désespéré par sa trahison, Luc s’effondre et demande pardon. Il retrouve miraculeusement la vue. Chichourlé retrouve avec frayeur le bohémien converti. Le Messie reçoit alors le dernier hommage de son peuple réconcilié ! 1925 : Très certainement influencé par un pèlerinage qui l'avait amené en Terre Sainte d'une part, d'autre part par le folklore provençal, le Chanoine Bonafont écrivit donc en langue catalane la "PASTORAL" puisque il était un ardent défenseur de cette langue qu'il avait pratiqué dès son enfance et qu'il voulait ressusciter. Majoral du Félibrige, Cigale d'Or, le Chanoine Bonafont reste comme l'un des grands poètes et écrivains catalans de ce début du XXème siècle. 1926 : La Pastorale est jouée pour la première fois en l'Église d'Ille, par les enfants du catéchisme. De 1926 aux environs de 1960, les Illois purent donc suivre le déroulement de ce "pessebre". Il faudra ensuite attendre 1985 pour réentendre l'oeuvre de Joseph Bonafont. C'est sur l'insistance et les conseils de Jordi Barre que l'on remit en chantier cette crèche vivante. Aidée en la circonstance par les dévoués Henriette LESAGE, Lucien CASTILLO, Pierre BRIAL, l'Estudiantine Illoise s'attela à la tâche. Dans un premier temps il fallu retrouver les archives, les classer, dépoussiérer cette ouvre en supprimant certains chants, revoir le début de ce pessebre: c'est à ce travail considérable que travaillèrent Lucien Castillo et Pierre Brial. Ce sont donc des adultes qui jouèrent la Pastorale: une chorale mixte de 40 personnes et une dizaine d'enfants sont indispensables. Les chants sont accompagnés par une jeune pianiste de grand talent, Cécile Monier, et la chorale est dirigée par Jordi Barre. La Pastorale est une succession de dialogues, de monologues, de chants. Son originalité tient au fait que l'on trouve ici les Rois Mages et le Roi Hérode qui ont un rôle très important. Nous ajouterons enfin que depuis 1985, le groupe présente la Pastorale dans beaucoup d'églises du département. 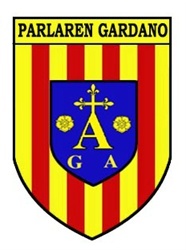 A titre d'exemple voici les églises qui ont vu en 2007 le déroulement de la Pastorale: Rigarda, Vinça (le Carmel), Le Vivier, Osséja, Le Palais des Rois de Majorque (Perpignan), Baixas, Rodès, Ille, Terrats, Elne, Brouilla, St Feliu d'Amont. Une fois encore, Ille peut s'enorgueillir à juste titre de posséder une oeuvre unique en Roussillon, et nous ne saurions trop recommander à celles et ceux qui n'ont jamais vu la Pastorale de venir apprécier ce Pessèbre.